We have already purchased games using Bitcoin (BTC) as a payment method from Steam as the popular service has been accepting purchases made with the crypto currency for more than a year already. 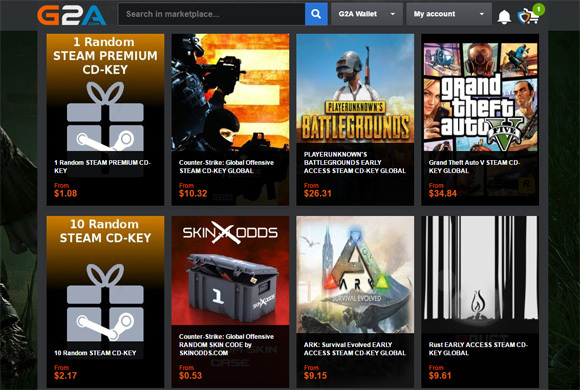 Steam however is not the only place where you can pay for games with Bitcoin, there are others also accepting crypto currency payments and you can even get a better deal. One such example is the G2A Game Store where you can purchase game keys for a better price, including games from Steam, but not limited (they added BTC support even before Steam). The idea here is that the website does not directly sell you games, but connects you to users selling them online and only acts as an intermediary processing the payments and helping resolve any issues if there are such. 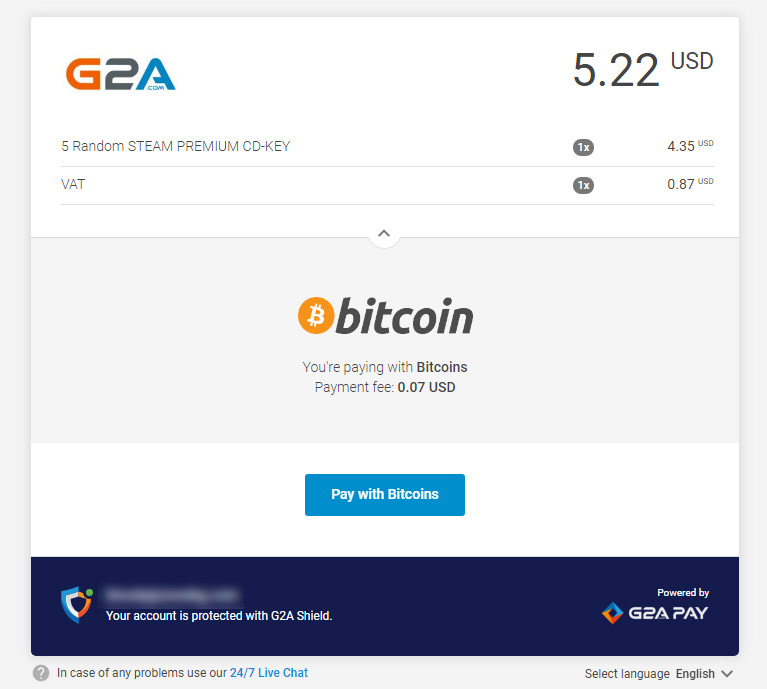 There are many different payments methods supported by the G2A Store and Bitcoin (BTC) is only one of them. You can also pay directly with a Credit Card, PayPal as well as many others. We are however most interested in Bitcoin and the payments using the crypto currency are being processed by BitPay as a payment processor (the same one as on Steam). The checkout process is quick and easy, though you might still need to wait a bit for the confirmation of the transaction (especially wit lower fee) on the Bitcoin blockchain. Regular confirmation should just take a couple of minutes, but it can take more if the blocks are currently full and recently the number of transactions has increased and the waiting queue for transactions is bigger. 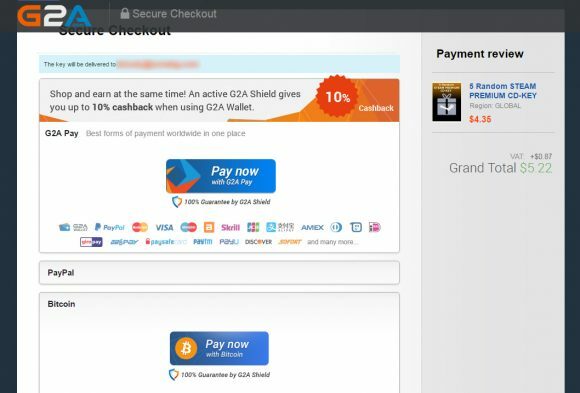 If you like the game deals available on G2A we do recommend that you activate the G2A Shield service as it can help you get even better deals and if there are some trouble with your purchases it helps you resolve them faster and easier. We are especially fond the deals like 1 Random Steam Premium CD-Key deals starting at a little over $1 USD or the 10 Random Steam CD-KEY deals for a bit over $2 USD, though there are many other interesting deals and offers available. Do note that these random game deals depend on your luck and while you may geat a very sweet deal, you may also get not so great selection of games as well… then again you can also give away the keys for games that you don’t want or need.